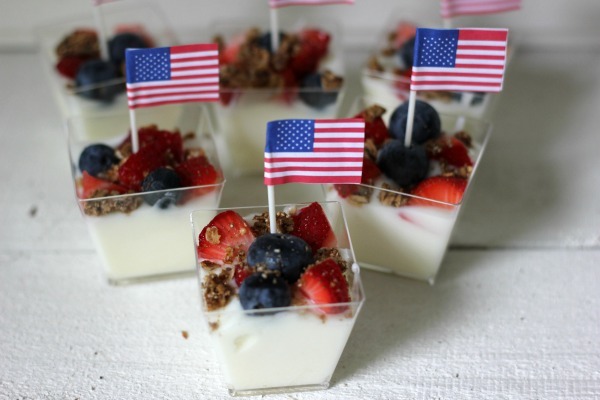 I'm celebrating the long weekend with mini yogurt berry parfaits for breakfast today. I am also remembering all of the men and women who have died serving our great country. 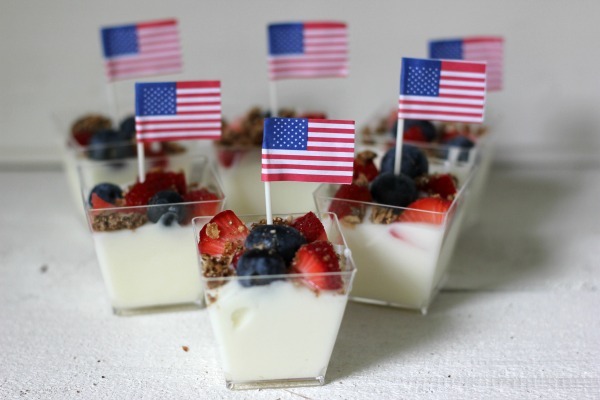 Spoon yogurt into mini cups. Layer with fresh berries and granola.